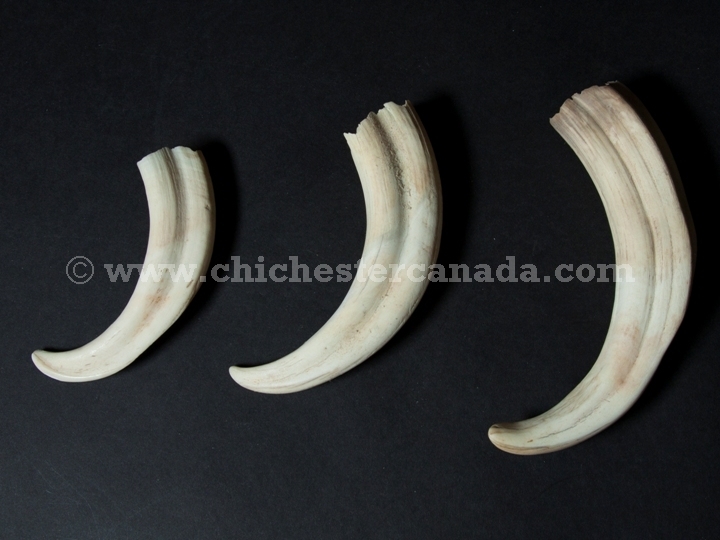 We have warthog tusks from Zimbabwe. These are sorted by size. The length is measured with a tape measure on the outside curve. The tusk is hollow inside with a solid part at the tip. The longer the tusk is, the larger the solid part is. The extra-large tusks are about 3/4 solid whereas the small tusks are solid at the tips only. Warthogs are not endangered and are not subject to CITES controls.